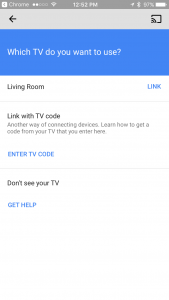 Find out how you can connect your phone’s or tablet’s YouTube App to your TV wirelessly. 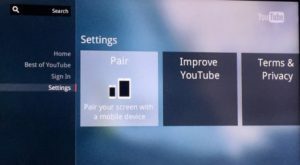 If your TV can connect to your WIFI network and has a YouTube app installed, then your TV is a Smart TV! There’s no need to buy any other TV device such as Chromecast to control YouTube with your mobile device and enjoy a YouTube TV Queue. However, if your TV is NOT a smart TV, consider getting a Chromecast. 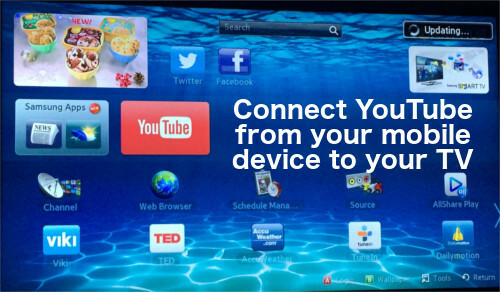 1 Connect your Smart TV to the same WIFI network where your mobile device (phone, tablet or computer) is connected. 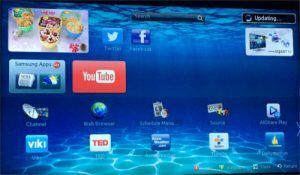 2 Install and Update the YouTube application in your Smart TV. 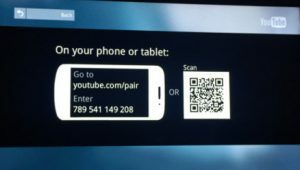 3 Open the YouTube app in your Smart TV and choose Pair. 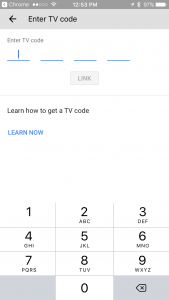 6 Enter the TV Code shown on your Smart TV. 7 Once this is done, go to your mobile device’s YouTube app and click on the cast Icon and select the TV you just paired with. 8 Browse YouTube videos and watch them on your TV. Add to the TV queue for non-stop viewing. This TV is useful for Karaoke nights! Just browse for song titles or artist names and add the word “karaoke”. Do you have any tips you can share on using YouTube? Let us know through the comments below! And then how do you sync up a karaoke mic? Hi Heather, I have written an article on how to setup YouTube karaoke that included setting up the karaoke mic. Please refer to How to setup Karaoke at Home using YouTube. Hope that helps.